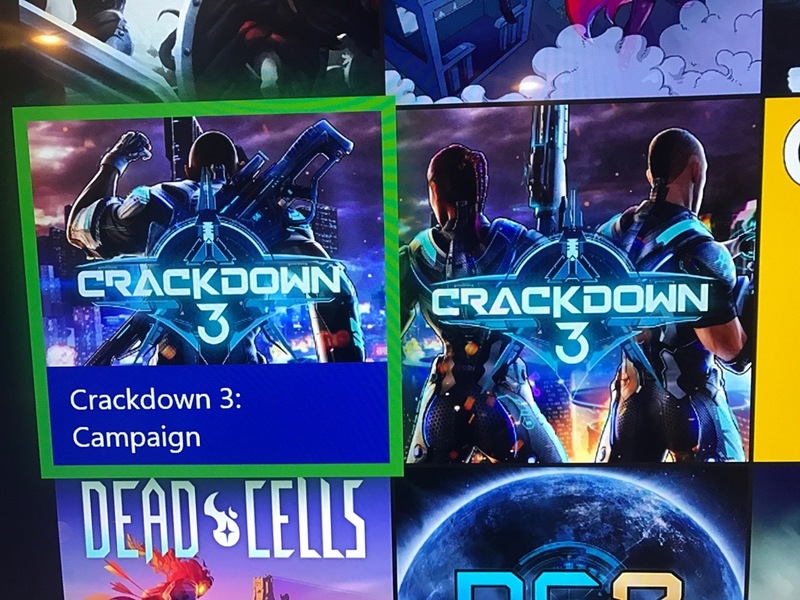 Home Video Games Is Crackdown 3 really that bad? If you’ve been reading the reviews of Crackdown 3, you’d think that it’s the worst game ever, lol. Every major gaming website has been ripping on it for not doing things that are now standard in 2019. I’ve been playing it quite a bit and can offer some insight on the subject. When you first fire it up, you’re greeted by a pretty cool intro view featuring Terry Crews. Unfortunately, you won’t see too many videos of him after this, although he is character you can select to play with. The graphics are ok, not great but also not horrible. It kind of looks like a cartoonish hi-rez 360 game honestly, behind today’s standards but not awful. The gameplay is pretty good when you first get into it. It uses a lock on aiming system like Red Dead Redemption 2. Ironically most of the reviews rip this game for that system but gave RDR2 a pass for the same thing, total double standard. The action in Crackdown 3 is way better than RDR2 though, with a nice variety of cool weapons and enemies. Some of the explosions you do are pretty awesome, with one car blowing up to chain into another and another. In fact there’s an achievement for blowing up like 5 cars in 5 seconds. As you get into the game, it pretty much turns into an open world game with like 100 different things you do in just about any order (although it may be pretty tough to accomplish the harder ones to start). From there you can just pick and choose what you want to do. It’s lot like Far Cry games only you get a lot more powerful in this game and the map is a lot smaller. The objectives for the most part pretty fun. Some of them are kind of annoying with all the platforming you have to do. There are a few bugs too with the missions, I’ve accidentally completed some and been unable to temporarily complete others due to things not working correctly. Once you complete a bunch of the easier missions of a certain group, you get to do a boss fight. These fights are pretty fun for the most part, most of them have a lot personality which is sometimes lacking in open world games. Is the game greatest thing? No, for sure not. But it’s also not nearly as bad as the reviews say in my opinion. I think that the long development cycle led to it having mismatched expectations, which in turn led to awful reviews. I think if it would have been a normal release without all the hype it would have reviewed a lot better. It reminds me of Ryse a little in the fact that it’s a good game that got kind of blasted in the reviews for no real reason. The best reason to play Crackdown 3 is if you have game pass. I’m not sure if I would spend $60 on it, but on game pass it’s a no brainer. I’d probably give it a 7 or 8 out of 10 just because of the fun factor. Definitely not because it does anything technically that great, it’s just a good throwback game.